Executive Function: What does it mean? The skills that make up executive functioning are strong indicators of future life success. Executive Functioning is the latest buzzword that parents have been hearing lately. EF is made up of many smaller skills that make up the bigger picture. In the illustration above, from a recent Parents magazine article, you can see how these skills are imperative to being able to get along with other kids, follow through with an idea, become familiar with rules and expectations, self monitor behavior and stay focused on the task at hand. Phew! Takes a lot of energy. Some kids have difficulty with these skills for a variety of reasons including having a diagnosis of autism or ADHD or even dyslexia. Children (and adults) who don’t have a formal diagnosis can still struggle with EF, and it’s the therapist’s and parent’s work to help bridge the gap. When your child is in preschool, their brains are developing executive functioning simply by playing with other kids. For young kids, EF is learned and integrated when kids are able to “use their words” or utilize language when dealing with a problem. If they have a problem which they can’t solve, they get adult help. Or they figure out that the game the other kids are playing looks just as fun as the one that was just snatched up by an unwelcoming group. When a child acts out under these conditions or alternately retreats, then they made need some assistance developing EF skills. When a child is mastering executive functioning, they are simultaneously learning to deal with emotions which can make for an explosive mix. Because studies suggest that self regulation can be a better indicator of future success than SAT’s, it’s worthwhile to invest time in some proactive strategies. The following ideas are some which have been taken from a variety of sources, but check with your healthcare provider if you have questions. 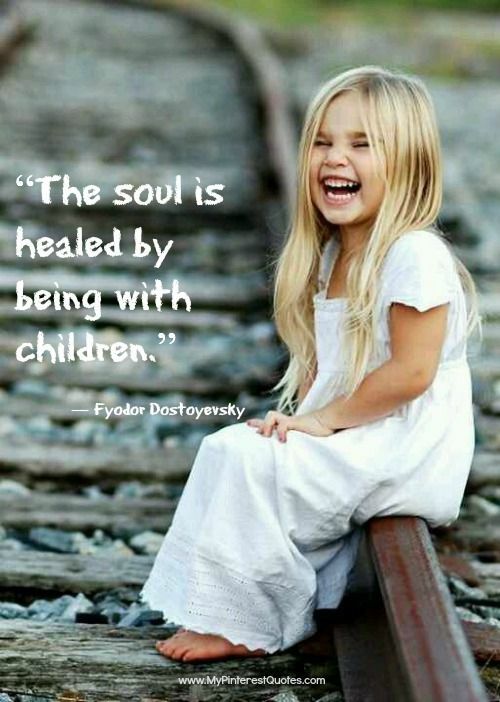 Look for words like “child centered” and “play based” when selecting a school. For older kids, look for teachers that see themselves less as dictators and more as facilitators of the process. Good schools know that emotions and behavior are part of learning just as numbers and facts are. Kids who listen to stories, make up their own or even listen to an audiobook aren’t relying on visual material. They have to rely on their memory and how they feel about the story to hold it in mind and keep engaged. Ask questions when you don’t understand, talk out loud when attempting to solve a problem. Go to yoga when you are stressed, then come home and say how the silence helped you figure something out. 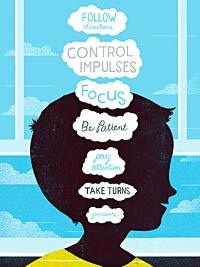 Let your child know when you see them controlling their impulses. Your preschooler is about to throw the remote when she is told she can’t watch her favorite show. But instead, she puts it down and starts playing something else. Tell her she made a good choice. We can learn these skills by doing them. Over and over and over again. Just like that episode of Sesame Street that they watched a thousand times. Younger kids love repetition. Older kids need a bit more novelty, but repetition is needed nonetheless. Executive Function isn’t really anything new, although it’s experiencing a resurgence in the media right now. Ask your OT if there’s anything particular to your child that you can do at home. This is how we feel! “Auditory Processing:” What does it mean? Auditory processing is more than just hearing. What does “auditory” mean? Is that the same as “hearing”? Auditory simply means related to hearing. 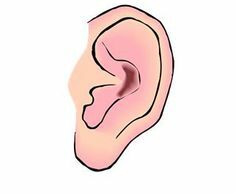 The inner ear has two major organs that contribute to our sense of sound. Very simply speaking, the cochlea is responsible for defining the sound that is heard (like a car horn) and the vestibule is responsible for the sound making its way to the brain so that the brain can produce a movement based response (get out of the way). The vestibular system, also housed in the inner ear with it’s partner the hearing system, helps us achieve more complex responses like balance. It’s a complex symphony that results in coordinated movement in response to sound. The music of this symphony is auditory processing. * are able to turn their heads toward you when their name is called. *are able to filter out sounds which they don’t need to pay attention to like the refrigerator turning on, or a baby crying in church or their brother kicking a chair during dinner. Those noises are background. *can follow directions that are given verbally from you or a teacher without problem. *can catch the vast majority of words spoken to them without missing a word. *know what to do when they hear a certain sound like the bell to change classes. *may miss small parts of direction, which can affect how they respond. *may be hyposensitive, which means they are underresponsive, or aren’t able to clue into important sounds around them. They may talk to themselves a lot or make a lot of sounds. They may not accurately respond to a direction because they may not have heard it accurately. *may be hypersensitve, which means that they are overstimulated by noisy environments. They may seem controlling or avoid these types of environments. They may cover their ears, or act like they want to run away. Sounds may seem actually painful to them. *may seem very distracted and unable to follow your directions. Sing songs with them. Read with them and ask questions about what they have read. For older kids, voice recorders on smart phones can help them remember details from classes. Younger kids can also benefit from visual components like videos. Outlines, study guides, personal organizers can all help. Noise cancelling headphones can be helpful. Therapeutic Listening- as prescribed by your OT. Talk to your occupational therapist about the specifics related to your unique circumstances and your child. We can help find ways to reduce their frustration- and yours. The American Speech-Language Association– a detailed article about auditory processing. This website has ideas from parents. These videos are descriptions of brain pathways related to the senses. Nice blog written by therapist related to auditory processing.